@AdamGabrielle: "Teething problems" is the official line. We should find out a few more details later. However, the car got back on track before lunch and we should see more of it in the afternoon. @joe: It's been an official lunch break for the last hour. But 29 laps isn't a great start to the week for Ferrari. 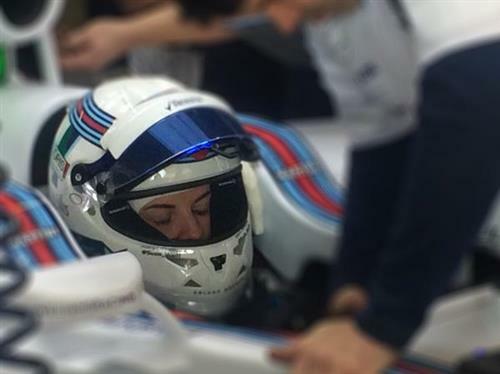 Having said that only Williams really pressed ahead with some decent long runs in the morning. Damn! I always thought the professionals GOT to drink on the job. At least they do in the racing movies. do these times really mean nothing as you keep saying? or can Sauber fans take some hope over being consistently in the top times and lap count? @Alfons: McLaren has said it will change its colour scheme for a sponsor but stopped short of saying whether that will happen before the start of the season. The Mercedes link has been pointed out, but McLaren say the current look is "an evolved colour scheme that firmly contextualises McLaren’s brand in the 21st century". Honestly, I didn't make that up. @LaurenceEdmondson I do agree with you that cars look great in yellow and that Banco do Brasil's color is yellow. But I don't know why they use blue and yellow on their color schemes for teams they sponsor. I really miss the 80's and 90's simple color schemes (Lotus, McLaren, Williams, Jordan) when compared with modern day's confusing painting. I'd like to see an orange McLaren. Surely a car which stands out from the crowd (and couldn't pass almost exactly for a Force India) would attract more sponsors anyway? @MIKEB: That was a Marlboro sponsored livery, so I don't think we'll be seeing it soon unfortunately. Even in the McLaren factory they have rounded off the tips of the Marlboro chevrons on their classic cars and removed the "Marlboro" logos to try to distance them from the fag brand. However, Ron Dennis thinks the day-glo red is the colour that best represents McLaren, which is why it's back on the car this year. What's up with Red Bull, are they still looking for the car keys that Sebastian hid? @IamaRedBull: It's certainly not going to plan at the moment. Reminds me of this time last year. Good to see the marketing department are keeping busy at Red Bull even if drivers haven't got much to do. Mercedes might need to get the bosses wife to do some driving this week if the boys can't get back to work. All Mclaren have to do is replace the chrome with white. Suits the Honda connection more. @Laurence..there's no nate today or what?? @gaurav243: Nate is currently being treated to a lunch at Mercedes. He'll be back to add a few thoughts from the track later on. Wow, "fag brand" has a totally different meaning on this side of the pond. @mfbull: Haha! Yes, cigarette would have been the safer option. 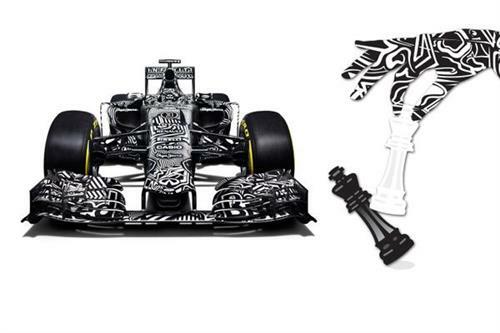 Re Red Bulls graphic, a King can't take another King. @IamaRedBull: No wonder the car isn't working. 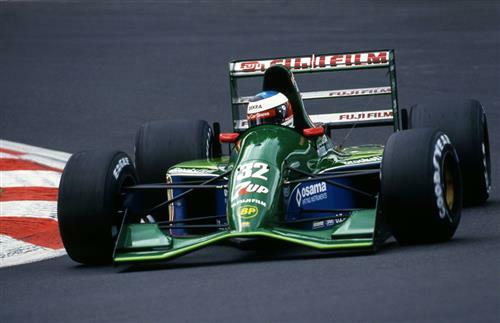 When I was young..my favorite livery was the 7up car. I even had the toy car. I can't remember who it was for the life of me right now. I am back from lunch and back in time to see red flags fall on the circuit. @MonkeySEAT: That was the first Jordan in F1, a real looker. We have a Sauber off in the gravel. There were lots of "oh! "'s in the press room as the film finally found what was holding up the session. Here is the stunning Jordon 191. Can anybody spot who's behind the wheel? There's also a Williams there too - so looks like Nasr and Wolff have had a collision of some sort. @ nate..welcome back.. how was the lunch? Looks like Schumacher behind the wheel! @Donovan: The first correct answer. Thanks! It appears both Nasr and Wolff are out of their respective cars but the Sauber, which has made it all the way to the tyre barrier at Turn 5, is in a bad way - it's lacking at least one wheel from the images I can see. Hard to make an accurate call from the CCTV footage we're looking at but seems to be a fair amount of damage to the rear of Nasr's Sauber. Time to hit the Cashr machine. Indeed, could be some interesting debriefs later on today!